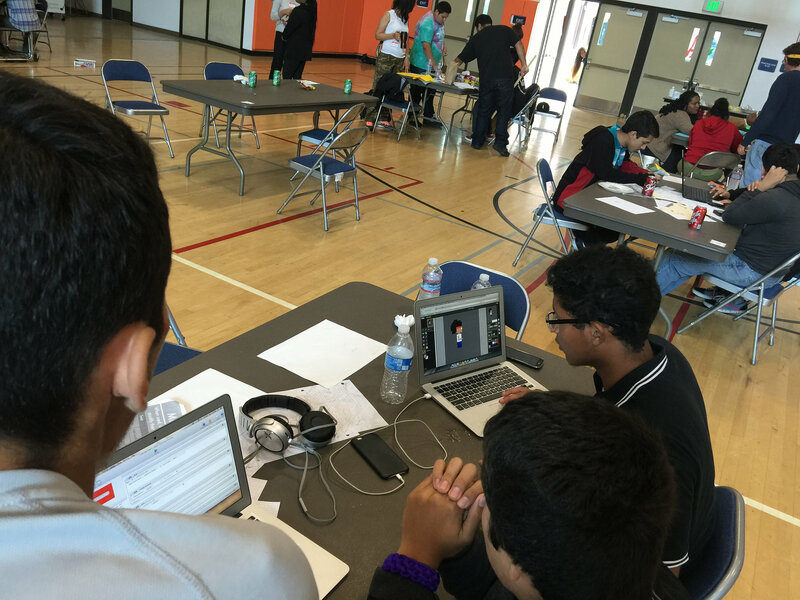 Early on a Saturday morning in June, about 40 students and teachers filtered into the school gym at the Critical Design and Gaming School (C:\DAGS) in South Central Los Angeles for C:/DAGS’ first-ever game jam. The event, which was held a few weeks after school got out for the summer, kicked off with the roll of a dice to determine the overall theme. Small teams of students took off planning, storyboarding, designing, and play-testing their ideas for new physical and digital games. But it wasn’t just the students picking up new game design skills, as the jam was the culmination of a year-long series of events aimed at helping teachers further incorporate games-based learning into their classrooms. C:\DAGs is a unique high school. It’s one of three public schools, collectively called Schools for Community Action, housed inside a larger campus. C:\DAGs, which enrolls about 540 students, was founded around the principals of gaming, design, and critical pedagogy. It’s a public, neighborhood school in South Central Los Angeles, though it has some charter-school-like autonomy in certain aspects of its curriculum, assessment, and staffing. Proponents of games-based learning believe learning should be more like playing games: participatory, immersive, and fun. Experts like the Institute of Play’s Katie Salen and University of Arizona’s James Paul Gee believe that games and game-design help students learn critical 21st-century skills, like systems thinking, and help students learn to tackle broad, open-ended problems. As a young, three-year-old school, C:\DAGS is still evolving. The school doubled its staff from its first to second years and a key challenge has been supporting new teachers in adapting their pedagogy to align with the school’s philosophy of games-based learning and play. For many teachers, adopting these teaching practices came on top of the demands of teaching at a school in an underserved community. “We really needed a way to address professional development and build the capacity of our teachers to be supportive in innovative, play-based instruction,” said Mark Gomez, social studies teacher and founding member at C:\DAGS. The school received support for professional development through a 2014 LRNG Innovation Challenge grant. The 14 grants, awarded to schools around the country, grew out of a partnership among the National Writing Project, John Legend’s Show Me Campaign, and the John D. and Catherine T. MacArthur Foundation to help educators advance the principles of Connected Learning. With the funds, the school held “player professional development” (PPD) opportunities where teachers familiarized themselves with different games during lunch. The staff also took a field trip to an “escape room,” an immersive gaming space where small groups have to find their way out by answering a series of riddles and puzzles and other clues. 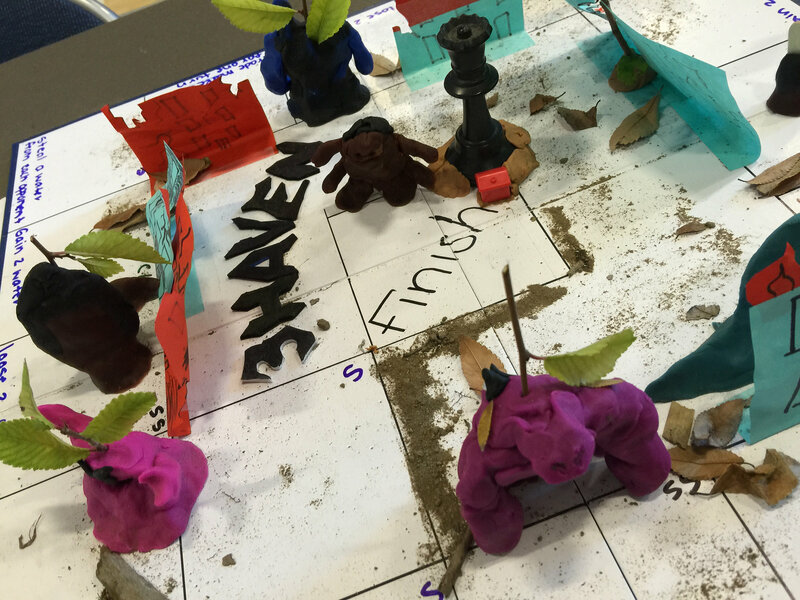 The escape room and other forms of PPD gave teachers first-hand experience with role-playing, and immersive problem solving games and helped them envision how they might use these games in their classrooms. But the culminating game jam turned out to be a final game design challenge for teachers, too. A typical game jam usually involves adult programmers who stay in a room for 36 hours-or-so, chugging energy drinks and emerging bleary-eyed with a new game that’s then evaluated by judges. Of course, working with students (who weren’t staying overnight) presented a set of new design challenges. Teachers figured out how to guide students through the two-day process, what rules they would put into place, and what materials students might need. “Teachers said this was their chance to playtest their first Game Jam,” said Antero Garcia, a founding member of C:/DAGS who is now an educational researcher and assistant professor at Colorado State University. Teachers were experimenting with different ways to get kids engaged in game design and how to structure incentives for the design competition. Though many students built digital games with platforms like GameSalad or the easy programming language called Scratch, Garcia said the “soft skills” like communication and teamwork they were flexing are just as valuable. For example, when Garcia asked one team how to play their game, they handed him a 15-page rulebook, which, while impressive, wasn’t a realistic way for people to learn the rules in crunched time span. Instead, they collectively figured out how to demonstrate and explain their new game to him quickly. “That was a hugely instructive moment,” he said. For Garcia and staff, one of the largest takeaways was seeing the energy and engagement from students throughout the weekend.